Hello, I have a question, I think my Parker is Fake, I have a lot of problems..
what kind of problems? What model of Parker you have / think you have? Post more than one. Show the details clearly, front and back. I think it's an PDF60B.. The finiton is not really good.. The bridge pick is not well fixed, the screws are useless. And the D tuner is broke, i can't explain that in english, but when i turn them he do an "crack" and the tune is not good sorry i can't explain well. The screw for the straps are broken.. The PDF models are all built in Asia. I wouldn't worry about yours being fake... it's just poorly made. Checking against my own PDF60, that serial number isn't a Parker SN, it's 10 digits instead of 9. No country of origin stamp, and it's definitely not from a US model. Also, the selector switch should be a three way toggle, not a lever switch. There are other inconsistencies as well. Hopefully, someone else can provide more info. What model did the seller tell you it was? That's exactly what i order. See my post above yours and the link therein. That one has the same type of switch and also has a serial number 'oddity' of some kind even though it's nine digits. It has a 'Made in China' sticker. 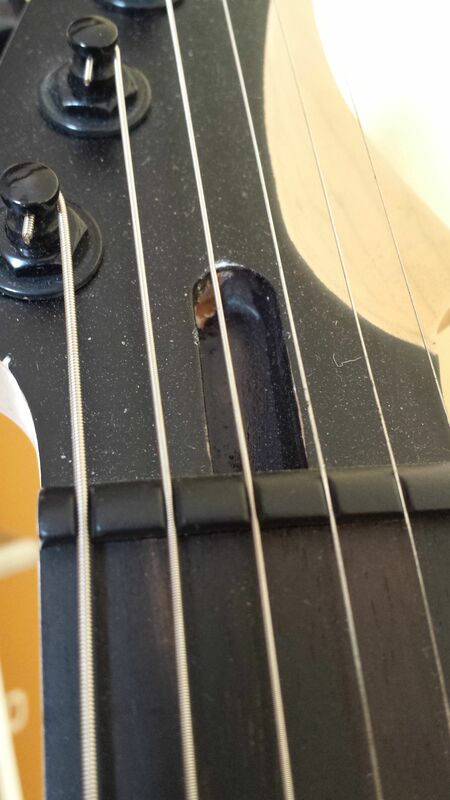 Is your own PDF60 missing a cover over the truss rod adjustment? My personal guess is that these are all real, but have been manufactured in different ways, and very likely in different factories. Hmm... Maybe we can't attribute this just to manufacturing differences after all. Maybe something else really is going on. Was the PDF60 quietly 'refined' at some point? It's the same guitar (white) ! Ok it's just a china made guitar ? I had just no luck with the guitar ? Like syber, I don't think it's fake. I think they contracted out different factories and there's some minor variations, like serial no, switches and subtle cnc body shaping changes. I also think it might have been a return to your dealer, with the broken straplocks and slipping d tuner. The dealer should be able to help you out under warranty, and they are easy fixes. 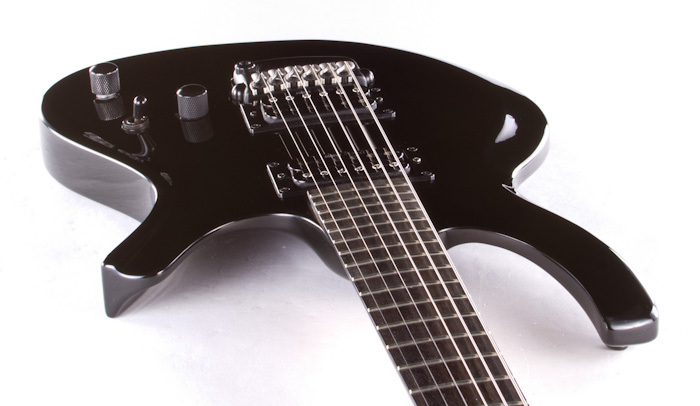 I googled "Chinese Parker guitars" and found four manufacturers making custom logo Parker replicas. The YouTube videos of fake Parkers is helpful too. *this nut is filed with round over and polishing on top. The stock PDF nuts are filed at an angle and are matte finished. *the slots in the nut are rounded over not squarely cut. 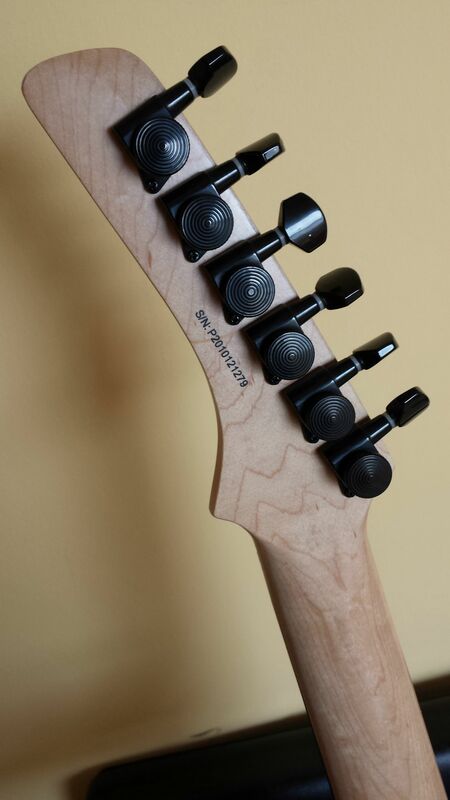 The tuners are imprinted with sperzel on the PDF 105 and are unmarked with locking knurled aluminum backed knobs on my PDF 70. As Dave stated the serial number and country of origin are curious but without a current year model in hand it's not possible to compare accurately. Chinese makers will put any logo on anything like the pickups or serial numbers. 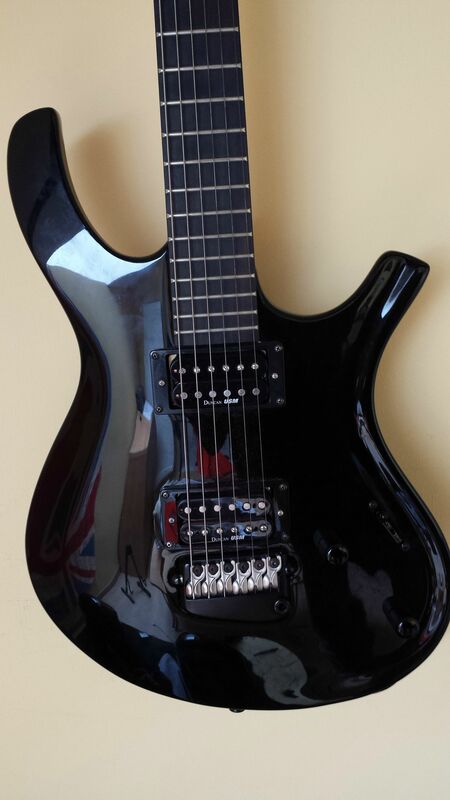 When looking for guitars I've found that some sellers refuse to post photos of serial numbers from fear of duplication by Chinese makers especially with desirable makes and models, usually Gibby's and Tele's but sometime Parkers. I noticed this post and felt the need to chime in since I've kind of been burned by well done "replicas". I'm not making any qualifications of what this guitar is or isn't I was bored drinking coffee and decided to do a little research. Wow, that's great info, thanks for posting! I would still be surprised if a place like thomann unknowingly sold fakes though. Don't they have direct ties to USM? Much more likely if there's 3rd parties or distributors involved. Also not making any qualifications, especially after the info above, but regardless, I'd contact thomann about your issues with the tuner and straplocks. Even reputable dealers can get burned because of all the variety in makes and models. A retailer would rather have a happy customer than a bad review these days, so more than likely if anything is awry they will help correct the situation. Thomann has a good rep on here from want I gather reading the posts. I love my Parker guitars, the others?, not so much.